We provide all the tools necessary to build a high end web presence for your growing business. We design Content Management System (CMS) website, e-commerce, Corporate Website, Responsive design, Website Re-design etc. 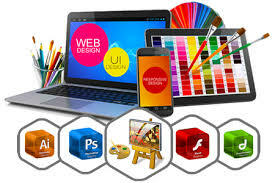 We design your website that help your business to grow online. we don’t just design a great website to establish your online presence; we also help you gain exposure with potential customers who are looking for your products and services.